Two hound dogs from Norfolk SPCA will participate in Animal Planet's Dog Bowl II on Feb. 2! NORFOLK, Va. — Animal Planet has a dog special on February 2, and two Norfolk SPCA dogs will be participating! 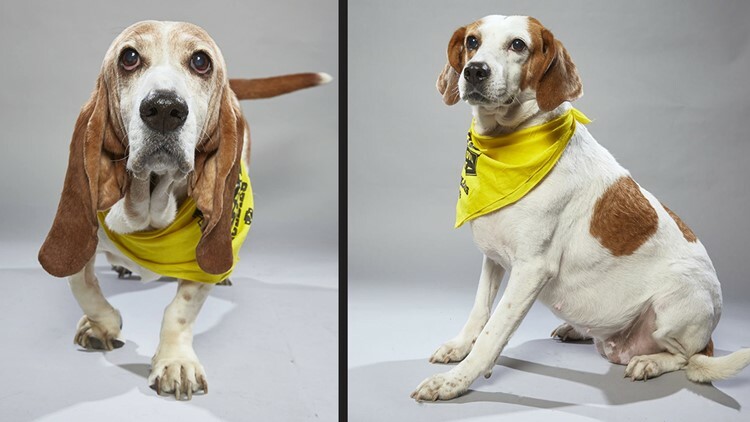 Rue, a 10-year-old Basset Hound, and Corrine, a 5-year-old Fox Hound are competing in Animal Planet's Dog Bowl II. Dog Bowl features older rescue dogs who still can learn new tricks, and it brings plenty of "aww" inspiring moments. These dogs will rise to big game stardom in the fan favorite. The Dog Bowl II competition airs during the ROAD TO PUPPY BOWL XV Saturday, February 2nd at 8 p.m. on Animal Planet. Two puppies from the Virginia Beach SPCA are participating in another Animal Planet program called Puppy Bowl. The Norfolk SPCA said Dog Bowl is a can't miss event!